It is possible to freeze cooked or smoked ham for up to two months. Cooked ham can remain in the refrigerator for no more than 3 to 5 days, as such a large amount of ham needs to either be eaten quickly or frozen to keep it from going rancid. If improperly stored, however, freezing ham can ruin it as quickly as leaving it in the refrigerator can. The key is simply to keep it as tightly packed as possible. 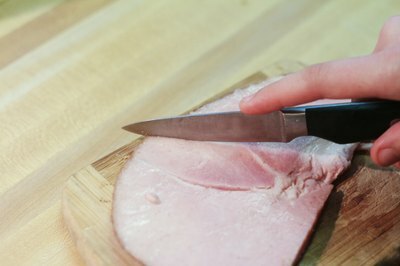 Cut or divide the ham into the size portions that you wish to thaw and use at a time. This is to prevent thawing all of the ham only to refreeze portions of it. Refreezing any food product should be avoided. Once thawed, it should be cooked or heated and consumed. Wrap the cooked or smoked ham in plastic cling wrap or aluminum foil. This will protect the ham from unwanted freezer smells or tastes. 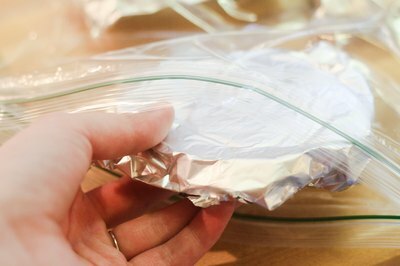 Place the wrapped ham inside a large plastic zipping freezer bag to keep burn-causing air from penetrating the wrap. 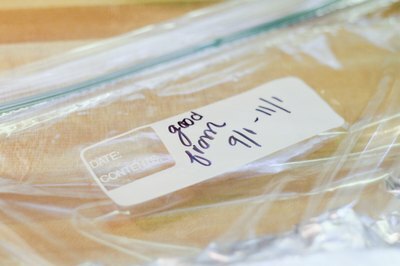 Using a permanent marker, write the contents and date on the bag to make sure you consume it within the proper time frame. 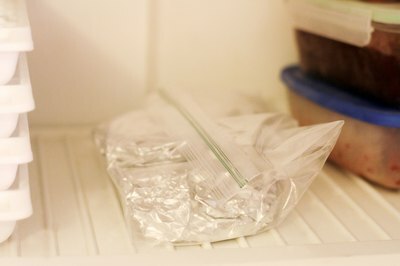 Place the bagged meat inside the freezer. Don't place other objects on top of it until it is frozen. The USDA Food Service and Inspection Agency suggests storing cooked ham in the freezer for a maximum of 1 to 2 months. Meat quality, texture and flavor is sacrificed after 2 months. 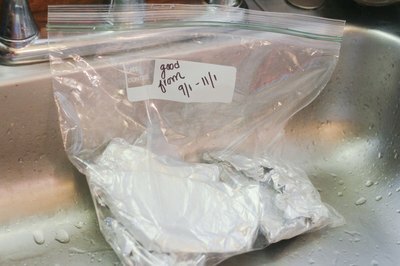 Thaw the ham in the refrigerator or keep it inside the bag and thaw in the sink. 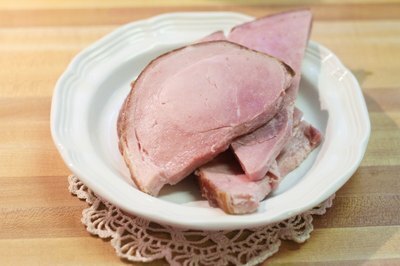 It may be necessary to reheat the ham to bring back the cooked texture and to cover any taste acquired through freezing. Frozen ham may appear slick and watery once thawed. If this is the case, simply rinse with water and pat dry. How Long Can I Keep Smoked Ham Hocks in the Refrigerator? A trained chef explains how long ham hocks can be stored, how they're made, and how to use them in your cooking.